A friend once told me, “Banaras ek ehsaas hai”. I’m going to agree with him there. I was in Jaunpur in November 2016 to attend a friend’s wedding. As a side trip, I visited Varanasi (or Banaras) over a day since it was just 60km away. The trip absolutely did not do justice to Varanasi. I mean you can’t explore a city in a day…and Varanasi of all places? It’s one of the oldest inhabited cities in the world. I was here on the day of Dev Deepavali, a festival unique to Varanasi since 1985. It is said that Dev Deepavali is one of the best times to be in Varanasi. Why not? 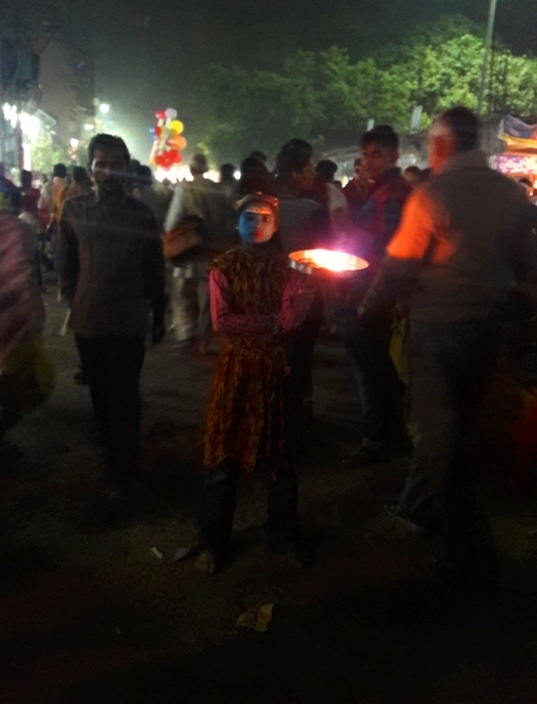 Diwali is known as the festival of lights; Varanasi is the city of lights. And coincidentally, that night was also a Supermoon, a once in 68 years occurrence on Earth. Imagine all that for a sight! Dev Deepavali is literally ‘Diwali of the Gods’. 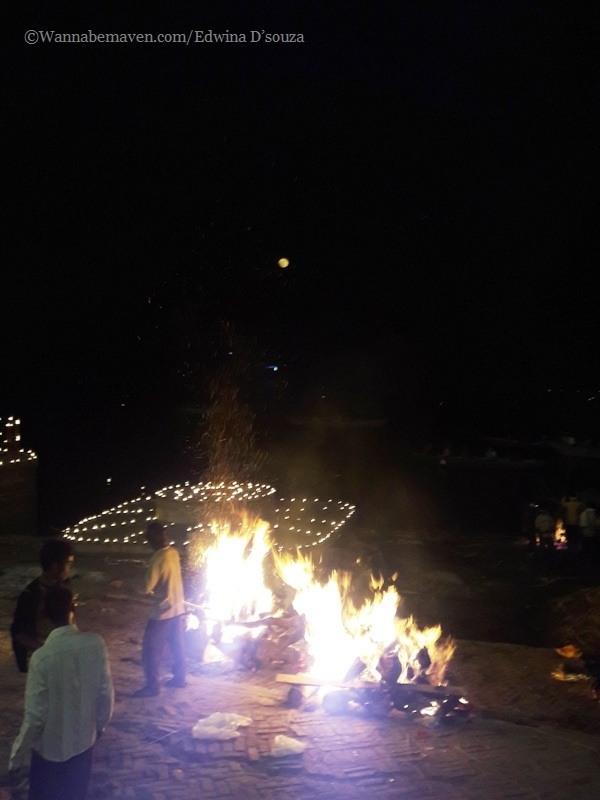 The festival is celebrated on a full moon, 14 days after Diwali. The city of Varanasi is lit up with millions of diyas (oil lamps) twinkling like stars under the night sky. 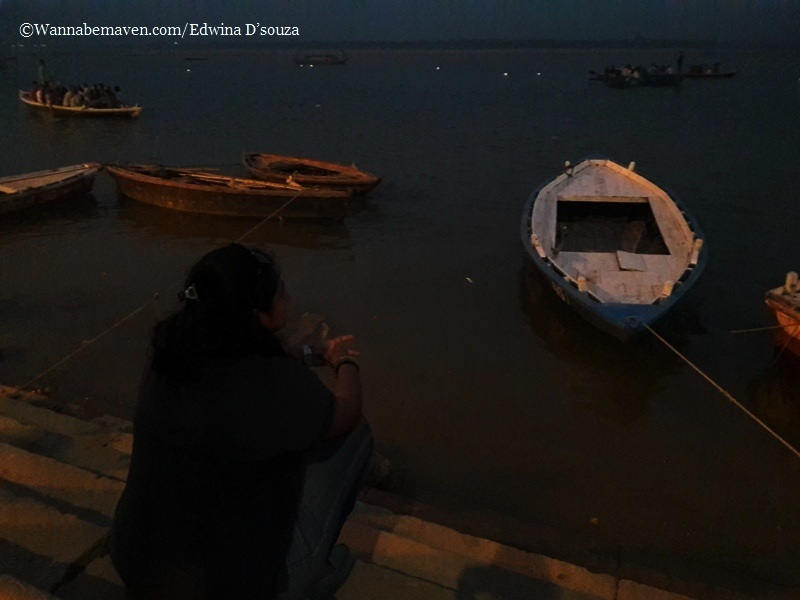 One can see diyas everywhere – on the ghats, on window panes, floating in the Ganga. Three of the main rituals at the Varanasi Ghats are: 1) Lighting of an oil lamp and setting it afloat in the Ganga; 2) Ganga snan (bathing); 3) Ganga aarti (ceremonial prayers offered by the priest). While I would never have taken a dip in the Ganga because the water is EXTREMELY polluted, I did set afloat a bowl of flowers with an oil lamp in the river. (If I did half of all these rituals in my own community, my parents would roam like proud Catholics. Never mind!). As for the Ganga Aarti, I missed this spectacular sight because of one wrong decision and Baba Ramdev. After visiting Sarnath and the Banaras Hindu University, I was well in time to witness the Dev Deepavali celebrations at the Varanasi Ghats. We got off at Assi Ghat on the south side and started our 4km walk towards Dashashwamedh Ghat, which is considered the main ghat for Dev Deepavali celebrations. There are about 87 ghats along the Ganga in Varanasi with some very interesting names like Pandey Ghat, Maan-Mandir Ghat (built by Maharaja Jai Singh II of Jaipur), Lalita Ghat (built by the late King of Nepal), Tulsi Ghat, Causatthi Ghat and Kedar Ghat. I hopped them all, occasionally stopping at the less popular ghats like Prabhu Ghat and Reewa Ghat for a quiet moment or two. Manikarnika Ghat and Harish Chandra Ghat is where bodies are cremated on a pyre in Hindu style. As the sun set in, the glowing lights from the oil lamps lit up the entire place and it was a joy walking along to reach my destination. I had the option to cut short my walk and take the boat ride to Dashashwamedh Ghat, but I was saving the best for the last. In my head, the plan was to walk along the ghats, watch the Ganga aarti at Dashashwamedh Ghat, and, once the crowd dispersed, take the boat ride in the Ganga for a spectacular view of the city from the other side. However, by 7pm, the crowd was beyond control. Millions of people were thronging the place, also thanks to Baba Ramdev who had come down to grace the occasion. My walk towards Dashashwamedh Ghat was cut short at Darbhanga Ghat because of the crowd. It was a choc-o-bloc and there was no way we could move ahead. As a smart trick, we thought of leaving the ghat and walking from the main road to reach Dashashwamedh. But that was the stupidest decision we could have taken because once we left the ghats, we could never reach Dashashwamedh again. The crowd was insane with road blocks and barricades everywhere. In the end, I did not see the Ganga aarti. But there’s always a next time. One must leave something behind in the hope to come back again. While I stayed in Jaunpur and did a day trip to Varanasi, I’d recommend doing it the other way around – stay in Varanasi and visit Jaunpur over a day. Varanasi is a global tourist destination so most locals are exposed to different cultures and won’t be shocked on seeing a tourist. But always dress modestly. Varanasi is also safe to travel around. Just don’t loiter after it gets dark. In Jaunpur, take more safety precautions, especially women. Join me on Twitter, Facebook and Instagram for more such travel stories and photographs. I also make cool status updates, just in case you like randomness. 5 foods I tried in Jaunpur-Varanasi and you should too! banaras, cultural festivals, dev deepavali, festivals of india, ganga aarti, Indian festivals, kashi, North India, Offbeat Experiences, things to do in Uttar Pradesh, Varanasi, varanasi ghat. Bookmark.